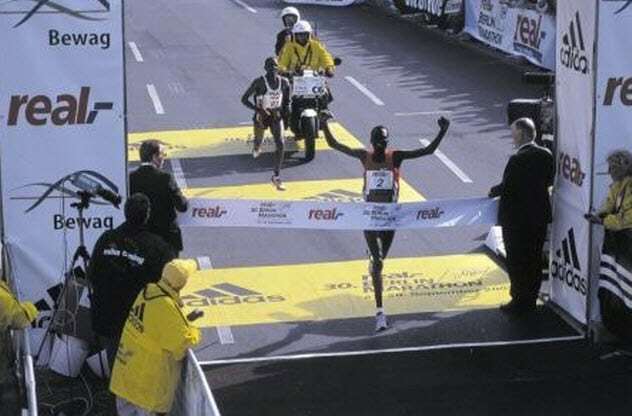 Everyone knows that Kenya has the world’s best marathon runners. What most people do not know is that the majority of these runners are from the same tribe. Enter the Kalenjin, the world’s best long-distance runners. Several scientists, researchers, and sports analysts have tried to explain why the tribe dominates long-distance running. Although their starch-rich diet, the location of their homeland, and coincidental social and economic factors have been fingered as possible reasons, no one has come to a definite conclusion. However, it is suspected to have something to do with genetics. The Kalenjin have small ankles and calves and a slim stature, which is just perfect for marathon running. Body size is important in determining who will win a marathon because people with smaller ankles and calves use less energy than others. It is even said that one can guess the winner of a marathon by checking which of the contestants has the smallest ankles and calves. The Bajau people of Indonesia are called sea nomads or sea gypsies because of their ability to remain underwater for several minutes without any equipment. The most experienced divers can remain underwater for 13 minutes before returning to the surface to breathe. Researchers from Cambridge University discovered that the Bajau people can do this because their bodies adapted to diving, causing their spleens to increase by 50 percent. Before the discovery, researchers had always suspected the size of our spleens had something to do with our ability to remain underwater. A larger spleen compresses underwater, releasing oxygen-rich blood into the body. This reduces oxygen use and allows us to stay underwater for longer. In the case of the Bajau people, they have a unique gene that increases secretion of the thyroid hormone T4, which causes larger spleens. What is cooler than being able to hold your breath underwater? Seeing underwater. This ability is limited to the children of the Moken people of western Thailand. Like the Bajau people of Indonesia, the Moken live by the seaside and are also called water nomads. Unlike other kids, however, the Moken children have excellent eyesight underwater. In 1999, Anna Gislen, a researcher with the University of Lund, traveled to Thailand to live with the Moken people and study their superpower. She realized that the eyesight of their children was two times better underwater than that of European children. Interestingly, she also observed that adult Moken cannot see as well underwater. Gislen initially suspected that the eyes of the children had evolved. But that was not the case because it would have affected their eyesight outside the water. On careful observation, she realized that the children could constrict their pupils and change the shape of the lenses of their eyes—two factors necessary for underwater eyesight. In fact, this is how seals and dolphins see underwater. To confirm her theory, Gislen trained some European children in Thailand and Swedish children in Sweden to control their pupils and lenses underwater. A month later, they could see as well underwater as the Moken children. The European children did not find it easy, though. Unlike the Moken children, their eyes always turned red because of the salty seawater. But they would have adapted to that, too, if the training continued. Moken adults cannot see that well underwater because their lenses are already rigid, just like that of adults elsewhere. From all indications, it is unlikely that Moken children will maintain their superpower for long. The entire tribe was moved far inland after an earthquake-induced tsunami destroyed their seaside village in 2004. They no longer have such easy access to the sea. Climbing Everest or any other mountain would be a daunting task for the average person. But not for the Sherpas. They are expert mountain climbers with the ability to seek out previously unknown routes. Today, people climbing Mount Everest always go with Sherpa guides. Research revealed that Sherpas are excellent mountain climbers because their bodies manage oxygen better at higher altitudes than the average person. This should not be a surprise. 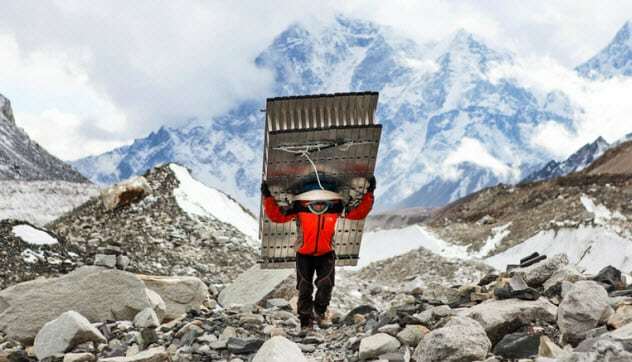 The Sherpas have been living on the Himalayas for over 6,000 years, which is more than enough time for their bodies to adapt to the extremely cold temperatures and low oxygen levels. The Sherpas are also immune to the nasty side effects and sometimes fatal ailments that affect other climbers. Oxygen decreases as we go higher up Mount Everest. In response, the body produces more red blood cells to feed the muscles with the required oxygen. At the same time, these excess blood cells make the blood thicker, stressing the heart. The Sherpas also experience the same thing but at a much lower rate. This is not all. Their bodies are also able to produce more energy in the absence of oxygen. Laron syndrome is an ailment that causes mutation in the human growth hormone receptor, leading to dwarfism. It is common among members of a tribe in a remote village in Ecuador. No one thought much of the syndrome until Dr. Jaime Guevara-Aguirre, who had been working with the tribe, realized that tribesmen with the syndrome were almost immune to diabetes and cancer. In contrast, tribesmen without the syndrome were highly susceptible to cancer and diabetes. To confirm his suspicion, Guevara-Aguirre partnered with Dr. Valter D. Longo of the University of Southern California to run lab tests with serum made from genes of the Laron patients. The researchers added the serum to human cells that had been deliberately damaged. They discovered that the serum stopped these cells from experiencing more genetic damage. At the same time, these cells destroyed themselves instead of turning cancerous. Kuru is the name of a deadly brain disease that broke out among members of the Fore tribe of Papua New Guinea in the 20th century. It was the result of tribesmen eating the brains of their dead as part of their burial rites. Some of the consumed brains were infected with prion disease, which caused kuru. The majority of the deaths occurred in the 1950s, forcing the tribesmen to abandon the tradition. At that time, 2 percent of the tribesmen died every year. Today, several tribesmen are immune to kuru and will not get it even if they eat the infected brain of a dead person. They are also immune to similar diseases, including mad cow disease. This protection has been traced to the unique V127 genetic mutation present in the bodies of kuru survivors. Descendants of tribesmen who never had kuru do not have the mutation or the immunity to kuru and mad cow disease. To test their theory, researchers used genetic engineering to develop some mice with the mutation before injecting the animals with the different brain diseases. They found that the mice were immune to kuru, Creutzfeldt-Jakob disease, and variant Creutzfeldt-Jakob disease, depending on whether the animals had one or two copies of the V127 mutation. As to the Fore people, researchers believe that all of them would have become immune to kuru and similar brain diseases if they had continued to eat the brains of their dead. The Tsimane people of Bolivia have the lowest risk of heart disease in the world. Between 2004 and 2015, researchers tested hundreds of tribesmen and discovered that 90 percent had clear arteries, which is directly linked to a lower possibility of contracting heart disease. At the same time, they have lower blood pressure, cholesterol, and blood sugar. Researchers attributed this uniqueness to the diet and lifestyle of the Tsimane people. They eat unprocessed carbohydrates along with little fat and protein. They get their protein from the animals they hunt and the fish they catch. They are also very active and work long hours. 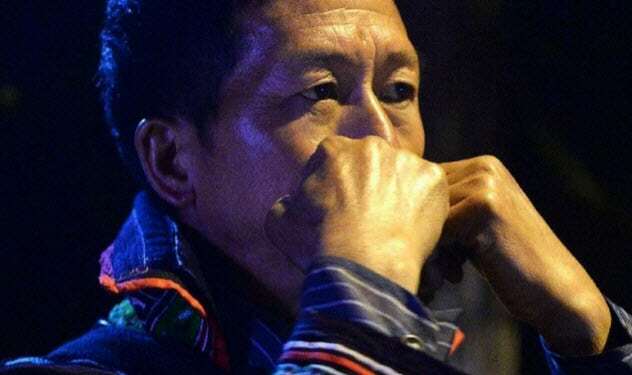 Whistling is not exclusive to the Hmong people of China. 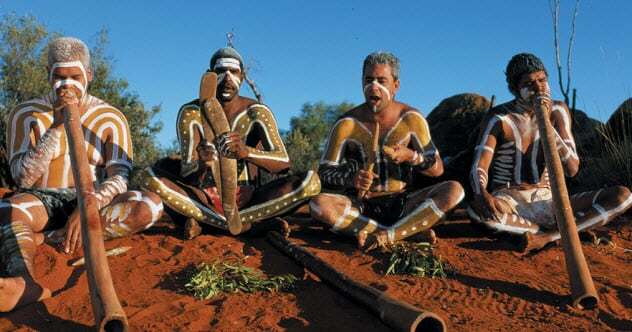 Several tribes around the world independently learned to communicate via whistling. However, they are usually located in mountainous regions where people live far apart. The Hmong live at the foot of the Himalayas. The Hmong farmers whistle to chat on farms, while hunting in the jungle, and to send love messages at night. Everyone understands what the lovers are saying. But they do not recognize the people because a whistle is not individually identifiable like a voice. This allows the lovers to remain anonymous while passing messages. Some even add nonsense whistles to confuse the listeners. A tribe on one of the Canary Islands also communicates via whistling. Their whistling language is called Silbo Gomero and sounds so similar to birdsong that some birds are imitating it. Some Amazonian tribes also use whistling to communicate while hunting in the jungle. This is safer than speech because whistling will not startle game. The Inuit communities of the Bering Strait also use whistling to communicate when whale hunting. Whistling has even been used in warfare. The Berbers of North Africa used it to pass secret messages during their resistance against France. 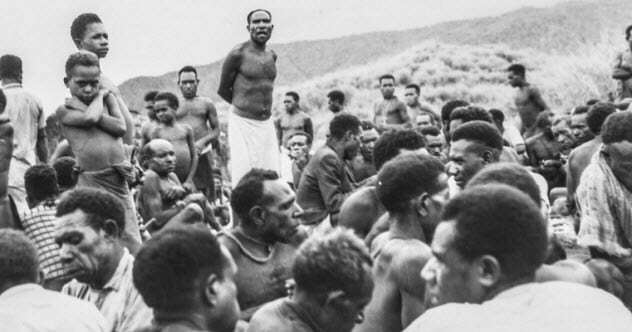 During World War II, Australia hired Wam speakers from Papua New Guinea to transmit and decode whistled messages to prevent the interception of radio messages by the Japanese. Looking for humans with the best eyesight? Check with the aboriginal people of Australia. Some have eyesight four times better than the average person. This allows them to see things that are four times smaller than what the average person can see. Other aboriginal Australians do not have such superb eyesight, although they can see two or three times better than the average person. Some aboriginal people work as spotters for the Australian army because they can perceive enemies at extremely long distances. They are also used to spot illegal immigrants’ boats and illegal fishing boats in Australian waters. This superior vision is believed to be the result of the hunter-gatherer nature of ancient aboriginal people who needed superb eyesight to survive in the wild. Unfortunately, today’s aboriginal Australians do not always have their remarkable eyesight into old age. Due to several factors, including poor hygiene and diabetes, aboriginal people above 40 are six times likelier to go blind than other Australians. Looking for the oldest people alive? Look no further than the native people of Okinawa, Japan. They are likelier to reach age 100 than the members of any other tribe in the world. 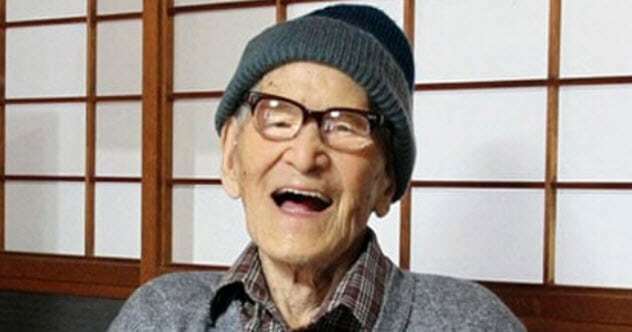 Okinawa boasts of having the largest concentration of centenarians in the world. Longevity among Okinawans has been traced to their healthy diet. They eat lots of whole grains, soy, tofu, vegetables, sweet potatoes, fish, squid, and octopus. Despite their large centenarian population, the Okinawans have been suffering a steady decline in health within the past few years. This has been traced to increased consumption of fast food from outlets that followed the opening of a US base in the area. Read more fascinating facts about different tribes on 10 Vicious Tribes That Practiced Head-Hunting and 10 Tribes That Avoided Modern Civilization.